Fast2eat all-inclusive guide with the best and worst cooking oils for your health. Confused about which cooking oil is the healthiest? Join the club. When it comes to cooking oils, there are so many to choose from. The shelf of the cooking-oil section of the grocery stores is a crowded spot. This abundance of oil options can cause confusion about which oils may be the healthiest ones to use. While certain oils provide a health boost, others should be used with caution. They all have slightly different tastes and nutritional profiles. Choose wisely. The debate over which fats and oils are healthy versus unhealthy has gone on for decades, and likely will continue —there’s still some disagreement. We know that trans fat is bad, but aside from that, there’s still deafening debate, and a ton of questions left unanswered. Is saturated fat totally evil or totally harmless? Does the difference between polyunsaturated fat and monounsaturated fat matter? Are we getting the right ratio of omega-3 fatty acids to omega-6 fatty acids? 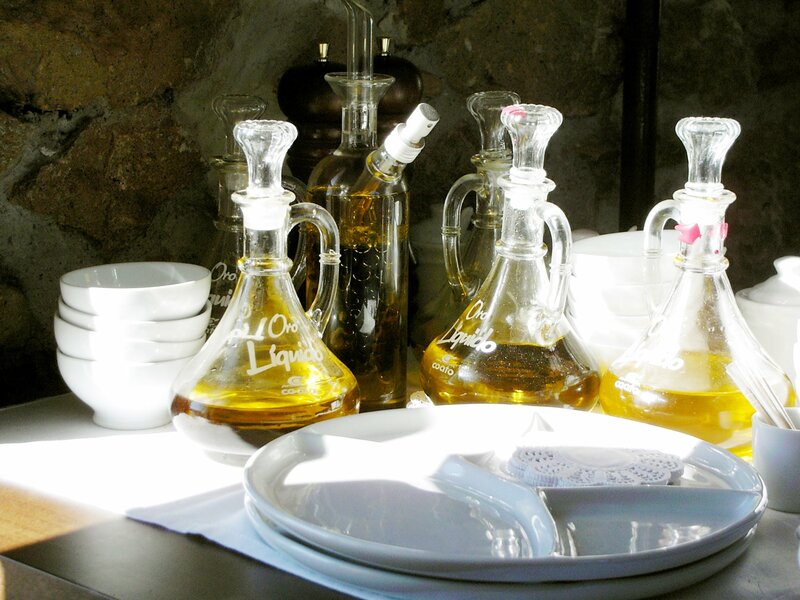 If we heat our olive oil to a high temperature, is it going to poison us with toxic compounds? The main points are to use cooking oils in moderation. Canada’s food guide and U.S. Dietary Guidelines recommend that Canadians and Americans include a small amount of oils in their diets every day to supply essential fatty acids because the body can’t make these acids and thus must get them from food. All cooking oils are composed of three different types of fatty acids: monounsaturated fats, polyunsaturated fats, and saturated fats. Each oil is categorized based on which type of fatty acid is the most prominent in it. In general, saturated fats from animals tend to be less healthy. MUFAs (Monounsaturated fatty acids) are a healthy type of fat. Replacing less healthy fats, such as saturated fats and trans fats, with unsaturated fats, such as MUFAs and PUFAs (Polyunsaturated fatty acids), may offer health benefits. Monounsaturated and polyunsaturated oils are the fats we should emphasize in our diet. Keep in mind, however, even the “good fats” in some of the oils listed below are still fats, so just because an oil is healthy, doesn’t mean you should drink it like it’s calorie free. There are nine calories in each gram of fat, whether it is butter or olive oil, compared to four calories in a gram of carbohydrates or protein. Trans and too much saturated fat are not good for your health. Unsaturated fats are good for your health. In fact, some are essential to the healthy functioning of the body. For example, olive and canola oils are considered mostly monounsaturated fat, while corn and soybean oils contain mainly polyunsaturated fat. Coconut oil is predominantly saturated fat. Every oil out there has about 120 calories and 13 g of fat per tablespoon—there’s no variety that’s magically lower in calories than all the rest. What really makes cooking oils different is their composition: Each one has a unique ratio of saturated fat to monounsaturated fat (MUFA) to polyunsaturated fat (PUFA). This ratio determines whether the oil is a solid or a liquid, how well it can withstand high temperatures, and what effects it’ll have on the human body. Choose “cold-pressed” and/or “expeller-pressed” when possible – These terms refer to the way the oil is processed. Cold-pressed oils are pressed at low temperatures, which means they retain all the flavours, aromas, and nutrients that would otherwise be destroyed by heat. Expeller-pressing is another clean way of producing oil: It means that oil was extracted mechanically (i.e. good old-fashioned squeezing) instead of chemically. Pay attention to the smoke point – The oil smoke point is the temperature at which oils start to break down, lose nutrients, and develop off flavours, the point when oil starts burning and smoking and become ineffective. You’ll know it’s happening if the oil is letting off wisps of smoke. It is one of the most important things to consider. If you heat an oil past its smoke point, it not only harms the flavour, but many of the nutrients in the oil degrade—and the oil will release harmful compounds called free radicals. Oils with high smoke points are typically those that are more refined because their heat-sensitive impurities are often removed through chemical processing, bleaching, filtering, or high-temperature heating. A high smoke point is typically one above 190°C (375°F), as that’s the temperature you usually fry at. Some oils have higher smoke points, so they’re better for high-heat cooking like deep frying and searing. Other oils have low smoke points, and should probably be reserved for applications like dressing. We’ve included each oil’s smoke point in the list below so you can choose accordingly. Pick oils that are composed mainly of MUFAs (Monounsaturated fatty acids) rather than PUFAs (Polyunsaturated fatty acids) for cooking – Because of their chemical structure, MUFAs are less sensitive to heat and oxidation, and it’s recommended choosing a mostly-MUFA oil (like olive, avocado, canola, sunflower, sesame, soybean) for most cooking. But don’t worry if you need to make an exception here and there: Using a PUFA-based oil for cooking every once in a while is perfectly fine. Strive for balanced omegas – Omega-3 and omega-6 fatty acids are two different types of PUFAs. While whole fish and fish oils are arguably the best sources of omega-3s, you can also find them in some cooking oils. Ideally, it’s best to seek out oils with a more favourable ratio of omega-3 to omega-6, like walnut, canola, and flaxseed. But, again, don’t freak out: Ultimately, it comes down to moderation. If you use plant-based oils with a higher omega-6 to omega-3 ratio every once in a while, it’s not going to be detrimental to your health. Different oils have different qualities that make them better for different uses. Some are best for baking, some are best for frying, and some are best in salad dressings. But which is best for which? Before you pick an oil to use, it’s important to assess the needs of your recipe. If you’re trying to fry something, you’ll want to opt for an oil with a neutral flavour and a high smoke point. For sautéing and searing, you should choose a more flavourful oil with a lower smoke point. And as for dressing, the flavourful stuff is always best. Canada’s food guide and U.S. Dietary Guidelines Healthy eating recommendations are: decrease levels of saturated fats (fats that come from meats, poultry, cheese, dairy products and tropical oils, such as coconut and palm oils) to reduce their risk of heart disease. People should replace saturated fats with unsaturated fats, which include polyunsaturated fats and monounsaturated fats. If you’re wondering which is the best cooking oil for your health. Here’s a description of the main types of oils and fats plus tips on how to use them right—and which ones you really shouldn’t be using on the stove to help you select some of the healthiest oils while still pleasing your taste buds. But it says “These foods contain healthy fats: nuts; seeds and avocado”.